Photo by Josh Jensen from the Torontoist Flickr Pool. Has Toronto turned the corner when it comes to accepting the bicycle as a legitimate part of our transportation system? A Forum Research poll from September 30 provides good reasons for optimism. The survey found 70 per cent of Torontonians favour bike lanes compared to a mere 22 per cent who oppose them. A majority of people in the city even support the long-debated Bloor bike lane—installed just weeks ago. The on-road reality for Toronto’s cyclists is still a far cry not only from cycling superstars like Copenhagen or Amsterdam but also from our big city Canadian rival, Montréal. Past municipal promises to increase bicycle infrastructure—like Toronto’s 2001 Bike Plan for 500 kilometres of bike lanes—failed miserably. Without safe bike lanes, many people are unwilling to take a chance cycling on our fast-paced roads—let alone allow their children to do the same. The Forum poll appears to show deepening and broadening support for bike lanes in Toronto, findings that can’t help but make an impression on decision-makers at City Hall. Will Mayor John Tory brush aside the fact that 73 per cent of those who voted for him in the last election endorse bike lanes? Will councillors take note of poll results showing majority buy-in for bike lanes from all parts of the city: 79 per cent in the former City of Toronto and East York, 70 per cent in Etobicoke, 69 per cent in Scarborough, and 61 per cent in North York? The poll found majority support from disparate quarters: the elderly and middle-aged, moms, the well-to-do and those of modest means, and suburbanites and their downtown counterparts. Bike lanes are also supported by 78 per cent of public transit users and 63 per cent of car commuters. In a city with many fault lines, bike lanes may be something of a unifier. There are several plausible explanations for this broad support. Driving in Toronto is often a drag. Delays on highways and roads are routine—as are collisions, which average 55,000 per year in the city. Costs for car payments, insurance, parking, and repairs are a heavy burden. And the adverse health impacts from sitting for hours in a car are difficult to ignore. Compare this to the healthy, affordable, and even joyful activity of riding a bicycle. Bike lanes help order all traffic. “Good fences make good neighbors,” poet Robert Frost wrote some years ago, and in the case of our roads, perhaps clear lines create better relations between commuters on two wheels and those on four. Drivers may appreciate cyclists’ predictability when bike lanes are present since the lanes set out exactly where motorized and non-motorized vehicles need to be. With the increasing number of extreme weather events in our city, including heat waves, floods, and violent storms, it’s getting easier for people to appreciate the benefits of replacing car trips with bike trips to reduce greenhouse gas emissions. Bike lanes improve air quality and add local charm and vitality, making streets nicer places to walk, meet friends, and shop. Of course, the popularity of bike lanes isn’t shown just through polling. It’s also demonstrated by real-life measurements. For instance, during morning rush hour on Bloor Street, waves of cyclists can be seen travelling east along the new bike lanes. A recent count by Bells on Bloor volunteers documented a total of 1,519 vehicles on Bloor (at Spadina) between 8 a.m. and 9 a.m.. Of these vehicles, 660—or 43 per cent of the total—were bicycles. Over the course of the day, 6,099 bicycles were counted in the bike lane, an increase of over 75 per cent compared to a count a year earlier (before bike lane installation). 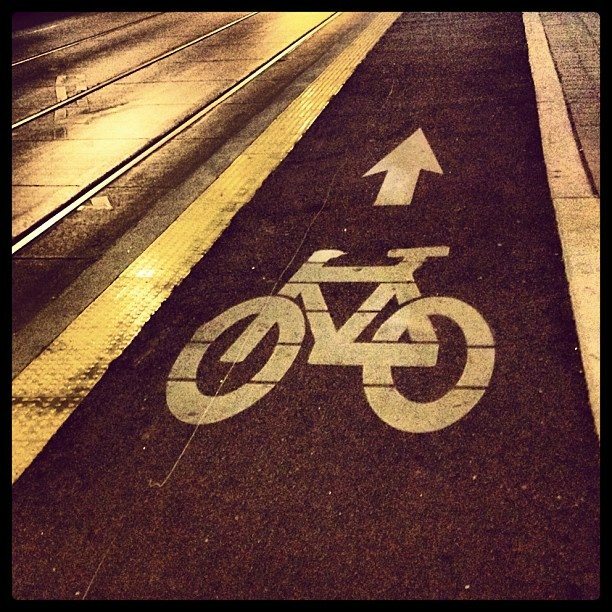 In a world of dizzying complexity, perhaps bikes and bike lanes win us over through their very simplicity. Was there ever a more elegant response to the need for locomotion—and the ills of sedentary living, congestion, and global warming—than a pair of human-powered spinning wheels? The recent poll gives us part of the answer. Gideon Forman is a transportation policy analyst at the David Suzuki Foundation. Albert Koehl is an environmental lawyer and co-founder of Bells on Bloor.